As the AGENTIL entities around the world continue to thrive and expand after being in business for more than twelve years, Jean-François Lauri, founder and CEO of AGENTIL Group has decided to bring a new member to the team to help him conduct the company through its growth. A co-pilot, in a sense. Therefore, we will have the pleasure to greet Stig Wikberg as co-leader of the Group starting February 1st. Although Stig is originally from Norway, he spent the majority of his life in Switzerland and studied physics at the EPFL in Lausanne. If the connection between physics and information technologies isn’t quite obvious just yet, it sure makes sense when you learn more about how Stig ended up working for IBM for ten years. As soon as he got his degree, he decided not to pursue a career in that field. Luckily enough, big IT companies were looking to hire young people who had a physics degree because these studies were considered quite broad and mind-opening. He then got two job offers, one from IBM and one from SAP. He took IBM’s offer in the blink of an eye, as it seemed more appealing and included a crash-course in sales in Paris. When he felt like he had explored all of his options at IBM, he decided he needed a change and ended up working for SAP as head of the French-speaking Switzerland branch of the company. The SAP office of the French-speaking Switzerland was about the size of AGENTIL today (about seventy people) and Stig enjoyed the flexibility and freedom that came with the job. It meant he could make decisions for this branch of the company without having to suffer from the complex administrative processes that these big companies usually enforce. And his office’s success was proof enough that everything was working out for the best. On an amusing note, he met Jean-François Lauri back then, who was working for HP at the time. While he thoroughly enjoyed his work as head of the office, he didn’t like as much becoming general manager for consumer industries afterwards. He was still getting great results from his work, but he found himself missing some kind of spark and went back to a position in sales (specifically, to sell S/4HANA Cloud), which he found to be very interesting. However, after twenty years, it was time for a change. When Stig was offered by Jean-François to become co-leader of the AGENTIL Group, he found it to be a great opportunity. Of course, his experience in the IT department and particularly in the SAP world are going to be invaluable, but he very much likes to focus on the human and social aspects of AGENTIL’s development. What he thought lacked in his later experiences, he wishes to reinforce here. He definitely identifies with AGENTIL’s human values, such as trust, hard work, communication and being a sustainable company. 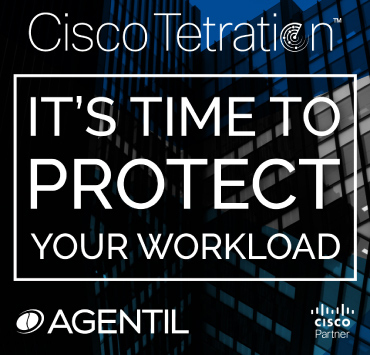 Also, one of Stig’s main focus is to help AGENTIL and its clients transition where the future lies, into the Cloud. Although Jean-François Lauri had already taken the decision to go forward with this transformation in the company, it’s a long but rewarding change that should further ensure AGENTIL Group’s customers’ success, as well as its own. Yesterday night, like every single year since 2006, we planned a corporate event in our Geneva HQ to celebrate the holidays with our team members and their kids. A little cocktail was catered and we had a few drinks (non alcoholic, of course) and some festive snacks. But that’s not all! 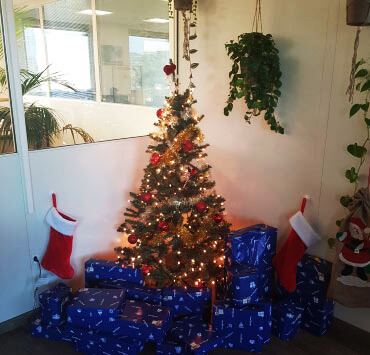 The whole office was rearranged: desks were moved, Ethernet cables were unplugged, a Christmas tree and ornaments were installed… Our marketing team had brilliantly planned multiple games for the children, such as a race track with our Mini Tesla (too cute! ), Nerf games and magic tricks! The least we can say is, the kids had fun… and so did the adults! Of course, Santa paid us an early visit and brought some gifts for each and every child present that day. This tradition is and always will be, close to our hearts. It creates lovely memories between our team members and their families, which is something we would love to perpetuate throughout the years. This year, AGENTIL was present at the professional fair of the UNEP (National Union of Landscaping Companies) and, after exchanging with many landscape gardeners, we have realized that only a few of them were using new technologies to manage their companies. 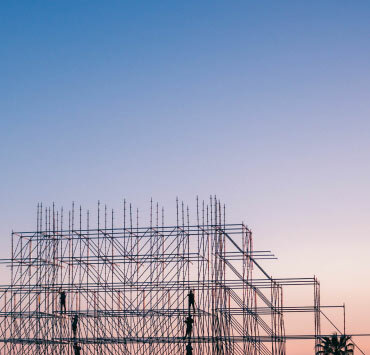 However, from managing stocks and materials to automating quotes, and handling projects… construction companies aren’t short on solutions to digitize some daily tasks. In order to support our claims, here are a few numbers found in an article from KPMG, that confirm the observations we made during the fair. Integrating it in the company’s strategy? Construction companies are slowly but surely realizing the importance of technological innovations in their industry. Proof of that is that, when asked, 78% of company owners are conscious that digitalization is going to be a big part of their work. But the assessment is quite clear: only a small amount of companies are fully equipped with adequate technologies! We think that this low rate of « equipment » in the construction industry comes from the gap between the work itself and the digital world. A lack of time and maybe of interest for these new technologies would explain the hesitations that some owners would have to jump the gun. However, this step is crucial to ensure the durability and development of the company! If you’re still with us, we would like you to know that AGENTIL integrates management and mobility solutions, perfectly adjusted to very small businesses and SMBs in the construction industry. To learn more about what we can do for you, contact us or browse our Solutions' catalog. Would you fly a plane with your eyes shut? When flying, pilots need to have all the right information right away. They rely on a technical team to do the maintenance, ensure the services but still keep an eye on the most relevant metrics. Why should it be different with SAP, probably one of your most critical IT system? Sure, no lives are directly in play but isn’t the performance of your SAP systems impacting your business? Probably even in a critical way! And isn’t there any metric, apart from the standard technical ones, which a relevant for you to pilot your ERP? When we regroup with SAP companies about their ERP monitoring, two cases stand out: either they have an internal basis team (maybe complemented with some externals) in charge of the technical support of their systems or they fully outsource this task to a service provider. This is probably very similar to the flight industry: either they have an external service provider or the service is done by their own teams. But in both cases, you probably know that the pilot (or the co-pilot) does a visual check before every flight and the crew has all kinds of indicators about the engines in the cockpit. Do they only trust a static report per day, summarizing all events from the last 24 hours? Do they pretend they don’t care because someone else is in charge? In the flight industry, this kind of attitude would seem completely crazy but the ERP world, it looks like the norm! SAP pilots are driving nearly blind (or in a reactive way) and rely mostly on technical checks done by someone else. What you won’t accept even for your own car (you still have “qualified metrics” all the time in front of the driver) is common in the IT world. At AGENTIL, we believe SAP pilots should have a full and qualified view on the systems they are responsible for everyday, every second. This is how and why we designed the Pro.Monitor solution. 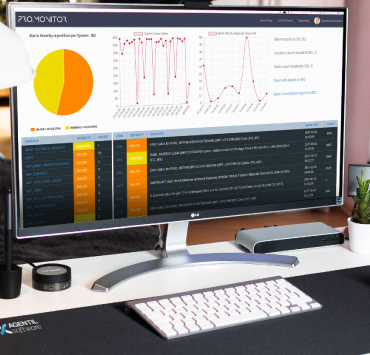 Pro.Monitor concentrates years of SAP management experience and can be fine tuned by your SAP Basis specialists but, first and foremost, it provides relevant metrics within the SAP Cockpit. Data are where it makes sense (in the cockpit and not only in a daily static report) and can be consumed on the fly. 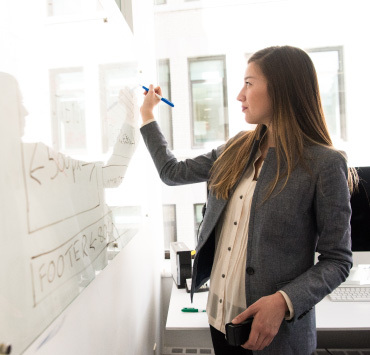 SAP Basis specialists can focus on the added value tasks with the confidence they will get alerts as soon as the pro-active threshold are reached. SAP Pilots (SAP Program managers, SAP CC managers, CIO’s) can have a graphical view on the system’s health, which includes technical but also business (security, logistic, finance, …) metrics. And the data are where they will be consumed (within the service management platform like ServiceNow or aggregated to the general IT monitoring) to ensure a complete view with a single pair of glasses and, at the same time, avoid manual data transmission. Alerting is efficient. Problem solving is including automatically all important information. If you wish to learn more about our solution, head to www.agentil-software.com and request your test drive today! We have always prided ourselves in being an SAP Partner… and we’re even more proud to say that we’re still going on strong! We have been recently notified that AGENTIL support center meets all SAP’s quality standards required for an automatic recertification of our Partner Center Of Expertise (PCoE) status. 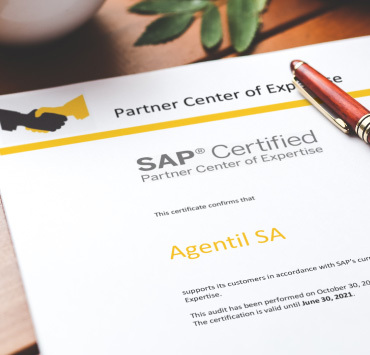 AGENTIL is the first SAP Partner in French-speaking Switzerland to receive the automatic extension of our SAP Partner COE certification for two additional years, instead of going through the full SAP audit process. This means that the prerequisites for the recertification continuously measured by SAP (including the certifications and trainings of our consultants) upheld all SAP’s satisfaction to keep the AGENTIL support center certified as Partner Center Of Expertise without further reassessment. The PCoE status means that our maintenance clients can continue to trust the AGENTIL experts to maintain and support their SAP systems on the high level implied by SAP PCoE certification, with the best care and the best customer service. Our clients’ satisfaction is our priority and we intend to keep it that way! For more information regarding our certifications and partnerships, we recommend that you chat with us at info@agentil.com or click on the contact button, on your right! Looking back at all the amazing exchanges we had during the past few days at the SAP TechEd event in Barcelona, we feel like participants are looking for more than typical innovations, as there is a real need for solutions which will help them manage the upcoming tidal waves. Most of the company representatives we met had already made their choice : the SAP monitoring is done internally or outsourced. But, in both cases and based on the conversations we had with the service providers as well, there seems to be a lack of instrumentation. Even if it's a simple environment containing one landscape or the typical ones with ten to twenty or major companies with several hundreds, or even thousands of systems, we found optimisations that could, from day one, save several minutes per system and per day! My advice? Stop trying to make out how much you would save if you optimized your monitoring by, say, ten minutes per system per day. You would truly be horrified! Finally, this was the ideal stage to validate our focuses for FY19, and we can confirm that we really are at the right place, at the right time. A security audit report is key (you will hear about it in the future), as our agnostic approach which allows integration is welcome in this established market. We can see many possible collaborations with existing or future customers to enhance even more our solution. Thank you and see you next year, SAP TechEd! Want to learn more about how we can optimize the monitoring of your SAP systems? Contact us today! - validation of our stories in our backlog. Do you need transparency on your SAP monitoring? Many companies outsource their SAP Landscape or, at the very least, its management. Having a specialized partner makes sense: it means that, due to scaling effects, you can keep the best experts while the in-house teams can concentrate on running projects. But does this mean companies should be handing over all control over their own systems? I can't even count the number of times I've heard of companies getting just one PDF report per day. Only one PDF report per day to assess the health of some of their most critical systems... I can't even count the number of times I've also seen companies get a 24/7 monitoring on hardware, network and else... but only one single report per day for their SAP environments. We recently implemented our solution in a company which was in the process of outsourcing their whole SAP landscape. Our Pro.Monitor solution is their single pane of glass. Both the end customer and the service provider/outsourcer have the same view on the system. There are no discussions or subjective feelings regarding performance or reaction, and SLA is measured automatically with the integration into ServiceNow. 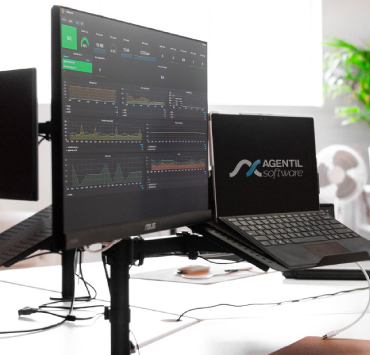 In light of that, AGENTIL Software has created Pro.Monitor to help you keep a trustful relationship with your partner and to keep an eye on your functional metrics, therefore avoiding any kind of argument in case of an issue. If you wish to know more about SAP Cockpit, our Pro.Monitor solution or our integrations between SAP Solution Manager (SolMan) and ServiceNow, visit our website! Events and fairs are a whirlwind, honestly. They demand a lot of time and energy, whether you’re on the fair comity or marketing team, but if done correctly, they can be very rewarding. Most importantly, they’re the best opportunity to showcase your expertise to a select crowd which most likely shares the same interests as you. Last year, the AGENTIL team already participated in the Salon Progiciels in Annecy - which is a fair dedicated to innovative software packages and performance enhancements - and they got to live a great experience, running a booth, meeting prospects and future clients. Proof that this was a beneficial experience was… we decided to participate this year as well! On October 11th, in the early time of day, the AGENTIL France team (Christophe Dantin, Maxime Gandy and Carole Lacroix, from AGENTIL Media) headed to the event’s location to add the finishing touches to the booth and have a little team meeting going through the program one last time, before heading to the welcome party. The event’s theme was The performance equation: agility + digital + lean, which indicates that the aim of this fair was to have business owners confronted to the fact that companies need to be much more agile and turn towards Lean. Indeed, this new era of the digital industry needs for companies to adjust, in order to achieve higher performances levels and stay on top of the market. The AGENTIL France team was present to demonstrate our expertise as ERP integrator (SAP Business One, SAP Business ByDesign and SAP S/4HANA) and got to meet potential customers all day long. Multiple workshops and conferences were available for visitors and Christophe Dantin hosted a workshop on How to manage your company to gain productivity? He demonstrated that ERP systems are the way to go to if you wish to grow a modern business, relying on a reliable system to host and gather your company’s information, boost and improve your productivity. Indeed, ERP softwares have come a long way since their first appearance in the industrial world in the 90's. If they use to be a way for manufacturers to improve the inventory management and supply/demand issues back then, they can now be useful for any type of company, big or small, to ease the internal processes. At AGENTIL, we believe each business is unique and, therefore, should have a unique system to work with. That's why we offer modular ERP systems so that employees can work only with the specific modules they actually need, increasing their productivity and the company's safety. If you wish to discover which ERP would help your company transition into the digital era, don’t hesitate to have a chat with one of our experts! On October 3rd and 4th, AGENTIL was very glad to participate in the HR fair (called Salon RH in French) in Geneva. The goal of this event was to create a meeting point for all HR professionals, offering a global vision of the market on all innovative human resources products and services. 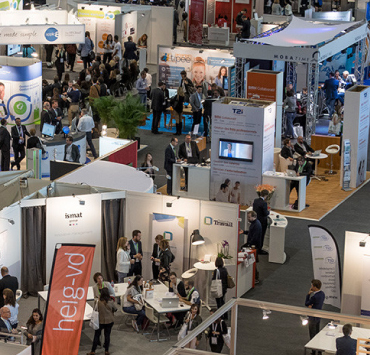 During two days, it was reported that more than 2500 visitors came to the HR fair to see the 160 exhibitors and assist to one of the 130 conferences. AGENTIL was delighted to run a booth with a few members of the team and Roger Haenggi, from IBM, to meet the public and present its very own innovative solutions. Jean-François Lauri, CEO of AGENTIL Group, held a conference regarding digital collaboration and new ways to work. Indeed, digital transformation changes the way people work together by ruffling up the classic work dynamics we all know and offering employees new ways to be efficient in their daily tasks and team projects. If the idea of making an employee more efficient during his/her working hours can mainly be seen as a productivity issue for the company, it should mostly be considered as beneficial for the employees’ motivation. Getting to your goals quicker and in a more efficient way, spending less time responding to emails, not struggling to find corporate resources anymore, not waiting around for a colleague’s response to get the document you urgently need to finish a task… all of these (big) little things can greatly improve the way you feel about your work at the end of the day. Truly, it can increase morale more than you would think. During his conference, Jean-François Lauri presented the latest fully customizable community work solution, called IBM Connections. At AGENTIL, we are able to customize this collaborative work solution with your company’s visual identity to make it feel like ‘home’ and make your use out of it that much more enjoyable. If you wish to learn more about what IBM connections can transform the way your teams work, communicate and manage projects, contact us to start your very own digital transformation! Social networks have never had such a significant place and impact in our daily routines as today. 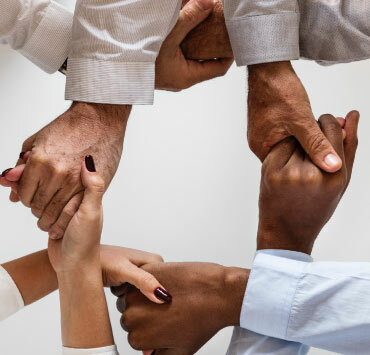 Even if they started out as a way to connect people in their personal lives, they’ve slowly but surely made their way into the workplace. Nowadays, collaborative work tools act the same way as social networks do : you can post updates, pictures, videos, use instant messaging, create groups... And there is no denying that these tools greatly facilitate the process of a group task. At AGENTIL, we make use of collaborative work solutions on the daily! In 2007, IBM decided to jump on the bandwagon and started developing their very own collaborative work environment, called IBM Connections. This product is a team collaborative platform that helps employees become much more efficient and invested in their work projects. Plus, at AGENTIL, IBM Connections can be fully customized. IBM Connections’ interface recalls the world’s most used social network and, with that being said, it’s a great advantage: it’s user-friendly and intuitive, therefore requiring absolutely no training support. The scenario is quite simple: anyone can create a community and invite their coworkers or even their customers to participate to the project, and share files, customer briefs and more. Having all ressources for a specific project stored at the same place is a real time-saver. Forget emails asking John where the presentation for your latest customer has been filed and waiting twenty minutes before having it sent to you! Furthermore, you can choose to add competence tags to your employees, colleagues and self, helping you find the best person to carry out a task regarding a specific project. IBM Connections also has integrated social traces of knowledge, which would, for example, give you access to a former colleague's knowledge base as training. All of these carefully crafted features ensure interactions are simplified and work processes are substantially improved. 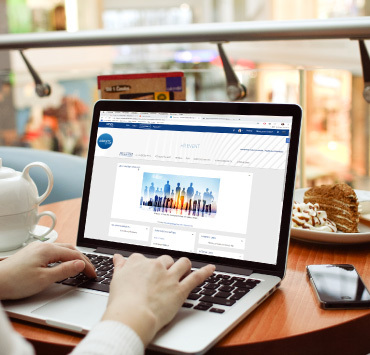 The forum sections allow all members of a same team to have focused conversations, accessible at all times, helping employees improve their effectiveness on the job. And this idea is reinforced by statistics showing that the use of a collaborative work tool such as IBM Connections can cut off 30% of email traffic. At AGENTIL, we truly believe in time-saving solutions such as IBM Connections and can only vouch for their efficiency and convenience. However, we also think that a collaborative work tool should convey your company’s aesthetic and now offer to not only implement Connections in your workplace, but have it fully customized to your image and needs. During the HR Event in Geneva, the AGENTIL team was running a booth in partnership with IBM, presenting their innovative solutions. 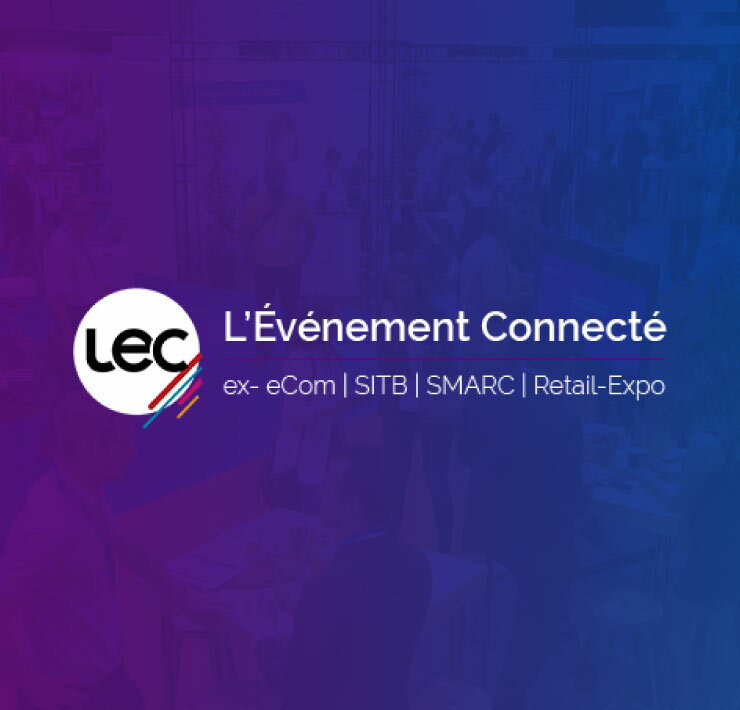 For this occasion, AGENTIL’s CEO, Jean-François Lauri also held a conference and was proud to demonstrate the customized interface of IBM Connections. If you are interested in discovering all of the advantages of using IBM Connections and have it customized to your convenience, don't hesitate to contact us! The Aragon Research Globe™ for Social Software, 2016: Shifting to Work and Outcomes (1) named IBM a leader in its evaluation of enterprise social network providers for the 4th consecutive year, citing IBM’s global presence, predictive analytics capabilities and growing partner ecosystem. The Constellation ShortList™ for Social Task Management: Enterprise Suites with Project Features (2) has recognized IBM Connections Activities for its combination of collaboration, social networking and project management capabilities. The Forrester Wave™: File Sync and Share Platforms: Cloud Solutions, Q1 2016 (3) named IBM a leader, citing the broad collaboration, file sharing and social analytics capabilities of IBM Connections Cloud. The Forrester Wave™: Enterprise File Sync And Share Platforms, Hybrid Solutions, Q2 2016 (4) cited IBM as a leader among the ten most significant providers of enterprise file sync and share (EFSS) solutions with hybrid or on-premises deployment options. The Gartner Magic Quadrant for Social Software in the Workplace (5) named IBM a leader for the 7th year in a row, recognized for Completeness of Vision and Ability to Execute. IDC's Worldwide Enterprise Social Networks, Online Communities, and Innovation Management Market Shares, 2015: Innovation at Scale (6) shows IBM has maintained its #1 position in Core Enterprise Social Networks for the 7th consecutive year. The Ovum Decision Matrix: Selecting an Enterprise Social Networking Product 2016-17 (7) named IBM a Leader in its latest examination of the enterprise social networking landscape. On October 2nd, the AGENTIL team participated in a very coveted conference in Geneva organized by Impact IA, called « Artificial Intelligence: towards a nomadic form of Work? ». Indeed, AGENTIL Group chose to sponsor a particular workshop during the event: « Woman in the Loop ». What was it all about? As a representative of women in tech and our very own innovation specialist, Sarah Bouhnick was asked to be a participant during the workshop. During the preparation phase before the actual event, the conversation rose in the AGENTIL Geneva offices about what being a « Woman in the Loop » actually meant. the place of the ‘feminine’ part in the process of human represented forms of AI. This debate pointed back to Sarah’s exchange with Andre Guillen, marketing director of the Impact IA Foundation, as he interviewed her regarding Artificial Intelligence and a woman’s place in this still very masculine industry. You can watch Sarah's interview here. For the workshop and conference, the AGENTIL team gathered a few members, including Sarah (of course), Jean-François Pietri (Transition Manager and Senior Consultant) and Carole Lacroix, head of the marketing department of AGENTIL Media. As the event began, experts, journalists and Laura Tocmacov Venchiarutti - Impact IA’s Managing Director - asked Sarah to join the press briefing, so that they get to the core of this event’s topic. They were joined by another one of the event’s sponsors, Visium, that debated on « Innovation and Entrepreneurship ». A few minutes from the beginning of the press briefing, a journalist from the AGEFI newspaper asked Sarah «Why ‘Woman in the Loop’? Why this specific topic? » And the answer was quite simple: women need to take part in modeling the future and a part of this discussion. The briefing was neatly organized in little groups of twenty AI experts and journalists, discussing all subjects of the event’s conferences. As it ended, the public entered the event and took place into little workshops to contribute to the brainstorming of these same topics. « What exactly is Artificial Intelligence? » a woman asked. And the truth is, it’s a hard definition to give. « I believe that Artificial Intelligence doesn’t really exist yet. We’re more about intelligence of artificial things, if I can say so. That’s why I think we need to bring more women to the table and offer a different vision of this topic » Sarah answered. As the debate went on, Sarah’s conclusions were that a woman’s place in the IT world isn’t really the subject. It’s more about redefining what is today’s reality but could be completely redefined tomorrow. But some questions remain unanswered for now: do we really need to add gender to the conversation, apart if it’s to push equality into our new societal constructions? Are we going to continue giving human characteristics to the technological lives we create? Will Artificial Intelligence always be influenced by humans, or can it become independent at some point? If you wish to discover AGENTIL's progress on AI solutions, come chat with us through the contact button on your right! 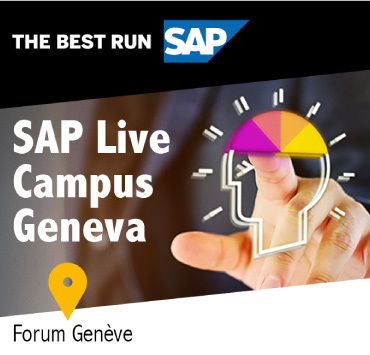 Last Wednesday, as SAP Gold Partner, AGENTIL was glad to be presented as one of the main partners of the SAP Live Campus event, which took place in Geneva. The event lasted a whole day and was filled with amazing lectures, conferences and workshops. After a quick coffee, the participants were warmly welcomed by Michael Locher-Tjoa, the Managing Director of SAP Switzerland. He introduced our CEO through a little video (watch here), in which Jean-François Lauri presented AGENTIL as an innovative and ahead-of-its time company. 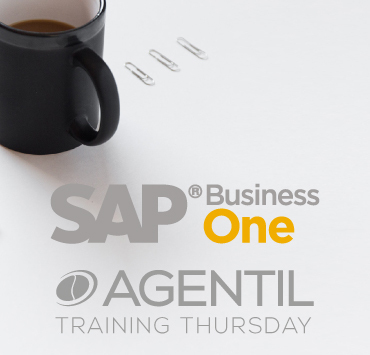 During the workshops and lectures, six members of our team animated the AGENTIL booth to meet with clients, partners and potential customers by presenting all of the SAP solutions and services AGENTIL has to offer. It also gave the team the opportunity to promote the SoH Swiss, a current crowdfunding project in collaboration with Red Hat. After a nice lunch break, Jean-François Lauri and Christophe Imbach, IT Director of Sunstar in Europe, held a conference on the first implementation project of S/4HANA Cloud in Switzerland. This lecture allowed the assistance to have a better understanding of how AGENTIL had managed to revamp Sunstar’s outdated system by using SAP’s S/4HANA and C/4HANA: AGENTIL’s goals were to reduce the complexity of Sunstar’s existing processes, while operating a digital transformation and increasing its business efficiency, making Sunstar a much more agile company. Following the AGENTIL lecture, Nils Müller, the Special Guest of this years edition made an appearance, offering a journey to the Year 2028 with Dr Futura. While traveling ‘back to the future’, he presented existing micro-trends and technologies that could heavily impact our lives in the future. To finish off this intense day of knowledge-sharing, all of the guests headed to the famous Brasserie des Halles de l’Île, posted on the Rhône, on a little urban island, for some drinks and a musical night with the singer and songwriter, Nickless. If you haven’t been able to attend this year’s SAP Live Campus to meet with our AGENTIL team members and would like to learn more about how we can transform your company, contact us today! We are proud to announce our new partnership with SAP, we now provide SAP S/4HANA Cloud: the intelligent Cloud ERP to accelerate digital value creation. It helps organizations manage a rapid pace of change, ensuring access to the latest technologies and delivering instant value, while providing the agility and flexibility to adapt to changing business conditions. SAP S/4HANA Cloud can grow and adapt to an organization’s changing needs, delivering modern capabilities to enable differentiation and long-term impact. AGENTIL Group supports the Genevan association Hôpiclowns. We invite you to take note of its generously supportive mission, acknowledged in public utility, with suffering people (children, adults and seniors) who are staying in hospital or in an institution. 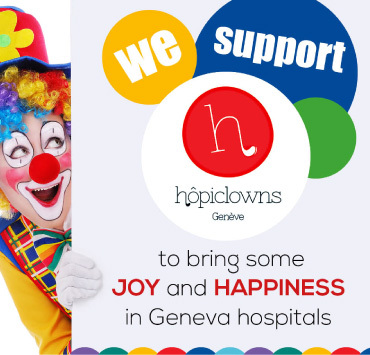 Hôpiclowns includes 7 women and 7 men who are professional clowns and work in hospitals and specialized institutions in the canton of Geneva. Their aim is to offer a little joy, dream, laugh and play, emotion and support to suffering people whose stay away from home can be experienced in sadness or even anxiety. They work in interaction with caregivers. Hôpiclowns : the “disease” in brackets! What if you also made a donation? Click here! Benedicta Oletu, SAP Certified associate and SAP Activate project manager, took a career break after spending more than a decade working at Shell Oil & Gas Company, where she used different SAP ERP modules. She wanted to broaden her SAP knowledge and learn a skill that would allow her to re-enter the workforce in an area that uses SAP S/4HANA. Therefore, Oletu decided to join the SAP S/4HANA Cloud Implementation Learning Room. Available to subscribers of SAP Learning Hub, SAP Learning Rooms offer learners unlimited, around-the-clock access to high-quality content, instructor-moderated live sessions, self-paced study, and even gamification elements for an interactive learning experience. The SAP S/4HANA Cloud Implementation Learning Room is designed to give each SAP software implementation project team member, whether an SAP customer or consultant, the ability to develop the skills necessary to effectively implement SAP S/4HANA Cloud. “The convenience of being able to learn from home with 24/7 availability was great,” says Oletu. The blended learning approach of SAP Learning Rooms combines the advantages of classroom training and online learning to provide learners with as much flexibility as possible. Oletu admits that, at first, she was a little overwhelmed by the wealth of information and choice. But, she says that learners need not worry since the live sessions – which make up roughly 50 percent of the learning room activities – and the ability to collaborate with other participants make the transition to online learning a lot easier. “The trainers did an excellent job of guiding us on our learning journey,” she says. 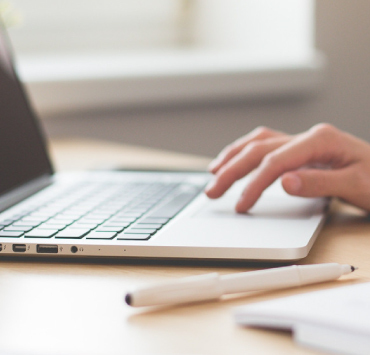 Whether through an e-book, e-learning with audio options, or live session, the diverse range of learning materials enables participants to choose what content they learn and how. SAP Learning Rooms have been designed to give learners the chance to learn at their own pace, wherever and whenever they want to. It is important to have access to information when we need it – that is why classroom training is not enough anymore. We might not use newly-gained knowledge right away, so we have to be able to refresh what we have learned if needed. And let’s be honest, who wants to go back to school and sit in a classroom when digital transformation presents a much more convenient solution? “Compared to a traditional classroom, SAP Learning Room gave me the opportunity to learn at my own pace in regular, short bursts,” Oletu confirms. Having unlimited access to learning material to continue developing professionally outside of work is the very essence of efficiency. Oletu hopes her newly-gained knowledge will help her find a position in a transformational change or SAP project management team or as an SAP S/4HANA implementation LOB business consultant at an organization working on its digital transformation. With the introduction of SAP S/4HANA, it has become more important than ever for employees to expand their knowledge in this field. Since 2017, there have been 14,952 registrations from around 7,700 learners for 11 live session clusters in the SAP S/4HANA Cloud Implementation Learning Room. The top five most popular session clusters are Fundamentals, Finance, Integration, Sales, and Manufacturing. Find out more about SAP Learning Rooms and SAP Learning Hub, and start your learning journey today. A successful implementation project is crucial for a company’s path to the Intelligent Enterprise. Making sure these projects run smoothly is no easy feat and involves having all the right players in place. The SAP Value Assurance program was introduced in the market in 2016 and was the fastest-increasing product in the history of SAP Digital Business Services. It was also the first time that the SAP Digital Business Services organization defined the level of SAP involvement by pre-defined standard service packages. In addition to a system integration partner, SAP Value Assurance is an essential piece in helping these projects run just as they were designed. Often, risks can show up during the implementation project. SAP Value Assurance is structured to provide deep and timely value to mitigate that risk through an established framework. It is also structured to expose any gaps in the project implementation and help the customer determine how to adjust earlier in the project if needed. One customer we’ve worked with is Wisconsin-based Johnsonville, which makes the most popular brand of sausage in the U.S. Johnsonville was actually the first company in North America to convert to SAP S/4HANA and one of the key elements to its success was the use of SAP Value Assurance. SAP Value Assurance gave Johnsonville – and gives all our customers – the ability to make the most of SAP S/4HANA, helping them transition as best as possible. The key goal is to help ensure projects run smoothly and efficiently, with as little risk as possible, via service packages that support SAP S/4HANA deployment when a customer or system integration partner leads the project. Many customers are working to lead in their market and for that they need innovation-ready business capabilities. For on-premise and cloud solution implementations, customers benefit from a predefined implementation structure that can be tailored to meet their specific needs and desired outcomes. Having SAP Value Assurance as an aid in the implementation process is a tremendous resource. Turner International Argentina in the media and television industry, and was able to use the SAP Value Assurance service to achieve a customized deployment with minimal risk. Since implementing SAP S/4HANA, the company has experienced improved sales performance, faster knowledge transfer, and system optimization across the business. Listening to customer feedback was central in the evolution of SAP Value Assurance. They spoke up with a clear request to assure that all projects — independent of whether the solution was running on premise or cloud — could have access to SAP Value Assurance. We’re proud to be rolling out SAP Value Assurance to a broader set of solutions to help our customers run successful implementation programs from prepare to run phase. Learn more about SAP Value Assurance at sap.com/value-assurance. “Did you see the snow?” Sudhansu Mohanty asked. A peculiar question for a hot spring day in Bengaluru, India, but I knew exactly what he meant — he was referring to the river. It was my first trip to India. The global SAP Corporate Social Responsibility (CSR) team and I were in Bengaluru (or Bangalore) for a team meeting, which also offered the opportunity to volunteer and document the impact of our global digital inclusion initiatives like Code Unnati. I pressed my face to the car window as we made our way from the hotel to an India Code Week event across town. Out of the corner of my eye, I saw what appeared to be a snowy river flowing along. Only it wasn’t snow; it was white, toxic foam. Over the past two years, I have gotten to know our volunteer ambassadors and global initiatives that help the world run better and improve people’s lives very well. While 55 percent of volunteer activities are skills-based, supporting education and workforce readiness, in India we see an incredible number of activities that focus on environmental sustainability. Sudhansu (pictured back right in the yellow t-shirt) and his incredible virtual team of SAP India and SAP Labs India Corporate Social Responsibility volunteer ambassadors. And this is where our interview begins, with the remarkable Sudhansu Mohanty. Mohanty is a senior software development leader for SAP. He is a husband and father, loves photography, and is a part-time traffic police volunteer — and you should see the traffic in Bengaluru! He helps promote employee engagement at SAP India Labs through sports and was recognized as the 2017 India employee of the year! Mohanty is also a CSR volunteer ambassador, spearheading environmental sustainability initiatives at SAP Labs India, both on campus and around the Bengaluru area, together with some of the most dedicated volunteers at SAP. I had the opportunity to see his work firsthand, and to ask him about his volunteer efforts. I’m confident you’ll find him as inspiring as I do. Q: Why is it so important to you to focus on climate action in your community? A: We all know SAP is a great place to work. It’s time to make the nearby places where we work great as well. Bengaluru, also known as the garden city of India, has been losing the green cover significantly over the past decade. The unplanned urbanization has come with a cost of trees and lack of proper mobility. This article, “Satellite images show green cover of Bangalore reducing alarmingly fast,” is a great read about the issue, and shows how our city has gone from the green city to the gray city. How and why did you initially get started in making the SAP Labs office more green? Since the city is losing all the greenery, it is refreshing to have a green work space. But honestly, the SAP campus in Bangalore was already green in terms of gardens. And regarding the sustainability initiatives, it was the need of the hour. Once I realized the city was struggling with garbage and lack of water, I had to take the first steps. What types of sustainability projects have you led together with volunteers at SAP? We have removed all single-use paper cups at the coffee corners with ceramic cups and glasses, and we have replaced all the single-use cups and bowls used during lunch and dinner with ceramic bowls and glasses. We use only reusable cutlery. Food waste from the campus is now composted in house with an organic waste composter. We were the first ones to do it in Whitefield (part of Bangalore). The organic compost generated is used in gardens and is given away free to employees. The compost has also been used in many of our SAP volunteer tree plantation events. Many other companies have visited our campus to see this operation and have gone back and implemented the same program on their respective campuses. Last year, we installed flow control aerators in all the water taps to keep a control over the fresh water usage. This has saved a significant amount of water. Our used water and sewage is then recycled in a sewage treatment plant, and then the treated water is used in the flush tank and are used to water our gardens. Additionally, the new buildings run on solar energy and we continue to plant trees around the city in areas that need it through volunteer projects like planting trees. What is the importance of the partnerships you’ve built with SAP facilities groups in creating lasting, trusted solutions for your campus? Partnership is very important. I have worked with teams from Facilities, Food and Beverage, IT Support, and even with the higher management for various activities. It is very important to have internal partners across the business, as CSR is a small team comprised of mostly employee volunteers. Moreover, for many of the volunteer projects we do need additional teams’ support. For example, In the last SAP Family Day, we had a lot of leftover food, which is typical for large events. I coordinated with a non-profit that works within the slums in Bangalore. The leftover good food was transferred by the organization to another part of the city and they were able to feed more than 500 people. This was a very successful initiative we worked on alongside our food and beverage team. Did you ever hit any roadblocks when trying to implement sustainability solutions? Yes, quite a few. Sometimes it is very difficult to explain to the execution partners the benefits that sustainable operations can bring — to you, to our community, to the business]. But our Facilities team and Food and Beverage team are very cooperative in the executions once they understand and agree with the benefits. Why is volunteering at work important? Volunteering for a social cause is much more than just investing two or three hours for an event. Sometimes it is a life-changing experience. If you haven’t volunteered, you are missing out! Volunteering has helped me build contacts and partnerships to help execute projects that are very close to my heart. I meet people from various lines of businesses and different business entities, which otherwise would not have been possible. It gives me a sense pride and satisfaction. When I lead a social responsibility project, I get to make new friends and support my community. What more can I expect? I’m more confident, my time management and project management skills have improved a lot, and at the end, I can say I have become a better person. With Earth Day right around the corner, what advice do you have for employees who want to volunteer or take action to help their office space become more environmentally sustainable? Although we have reusable cups and glasses, washing them takes water. One can just have a larger bottle for water at their desk instead of using multiple glasses—in other words, BYOB (bring your own bottle)! Control the amount of food waste. Food waste fills landfills, uses energy, wastes water, and contributes to land deterioration. What you do waste, try to compost. Use the water judiciously. We should not waste water unnecessarily. Watch the number of tissues or paper towels you use. Each paper tissue goes through a huge cycle, which is again a burden on the environment. Use a hand dryer instead. Carpool – many of our employees do it and this both helps the traffic situation and reduces carbon emissions. Save energy by switching off your computer monitors once you leave work. If you are the last one on your floor, be sure to switch off the lights. After getting to know Sudhansu Mohanty, I continue to ask myself where he gets the time and energy to do all of these things in one day in addition to his regular job and spending time with his family. I’ve come to learn a few things: he never works alone. Together with SAP volunteers and co-workers, they take small steps every day to protect the world that sustains us. SAP empowers employees to take action on projects that matter to us. Whether it’s environmental sustainability or quality education and workforce readiness, we have the infrastructure in place to support volunteer efforts globally. We don’t all have the capacity to go big and start corporate composting programs, but we all have the power to make small sustainable changes in our own lives. And if we do, the ripple effect might just create a huge wave of positive change in the world. Rohrer Group’s IT department is convinced that transitioning to SAP S/4HANA Cloud was the right move. After only a few weeks familiarizing itself with the new system, the industry services provider is already sending out its first automated invoices to customers. But, it still pays to be cautious. Take customer billing, for example. The Rohrer Group cleans and repairs large refinery tanks and coordinates plant downtimes, which involves close liaison with the scaffolding industry. “There are no standards in the scaffolding trade,” explains Wohlscheiber, so costs are calculated and billed individually for each customer. In hindsight, it would have been better to dry-run the entire billing process beforehand because as it turned out, it took several weeks until Rohrer was able to create and issue its first automated invoice via SAP interface to its current system. And for that to happen, its external project partner S&T, a Vienna-based SAP gold partner, had to tweak a lot of parameters. Wohlscheiber is nevertheless a firm believer in the cloud. To help employees get used to the new setup, he’s scheduled user training courses and insists on open communication. And while Rohrer’s employees generally have the option of working from home, they’re all at the office in Niklasdorf these days, ensuring conversion to the new SAP system goes smoothly. “We like to keep our communication channels short and informal here,” says Wohlscheiber. “Whenever a problem arises we simply sit down together to discuss it.” Discussions with the S&T colleagues helping out with the training courses are mostly done via Skype, though the experts do travel to Niklasdorf for complex issues. Thanks to the cloud, he and Rohrer are spared the costly operation of a server infrastructure. What’s more, the IT expert plans to leverage as many SAP functions as possible without having to burden his team with managing updates. Rohrer runs its business using standard processes, namely financial accounting, controlling, procurement, and sales, in SAP S/4HANA Cloud. It wins that business with the help of special solutions that connect its legacy system, a custom solution that Wohlscheiber has built up over a good decade, to the cloud via interfaces. “Our staff has naturally grown accustomed to this home-grown system over the years,” Perfler points out. Converting to a “rigid cloud,” as head of controlling Maria Mitteregger calls it, is a major adjustment indeed. That being said, the old and new systems do have one thing in common: they are both Web-based and called up by means of a browser. Rohrer’s main challenge when scouting for cloud providers was finding a solution that could cover all 45 of its locations across 14 countries. Microsoft was initially a contender alongside SAP, Wohlscheiber reveals, “But we wouldn’t have had a central point of contact there, meaning we would have had to constantly patch our various divisions together.” To help with the operational implementation, Rohrer then turned to S&T, the only company in Austria able to provide end-to-end support and flexible enhancement of the Cloud ERP portfolio from SAP. S&T’s entire team is cloud-certified. Rohrer ultimately went live with SAP S/4HANA Cloud in Austria in April with further rollouts planned across the rest of its locations in half-year intervals. Looking back, Wohlscheiber says that despite the initial teething pains, he’d do it all over again. “Just remember to do a reality check every now and then!” he warns. The reliable operation of billions of cars, trucks, and agricultural equipment is a vital part of the global economy – getting people to work, transporting essential commodities, delivering farm products that feed the world. When vehicles stop running, economic instability rises rapidly. It is up to businesses like Old World Industries to help ensure that these valuable assets are protected inside and out. Over the course of 45 years, Old World Industries transformed from a small chemical trading company into a multibillion-dollar global powerhouse for the automotive, chemical, and agricultural industries. Both commercial and consumer customers rely on our products, which include PEAK coolant and antifreeze, BlueDEF diesel exhaust fluid, and an array of private-label brands for the professional installer. But as demand for our offerings began to accelerate worldwide, we soon realized that our siloed and manual approach to sales and order fulfillment no longer worked in our favor. With Deloitte as our partner and the support of the SAP Early Adopter Care program, we decided to deploy SAP S/4HANA to streamline and integrate processes across the business. However, this initiative was more than just a way to connect our processes; it has become the foundation that allows us to give our customers what they need before they even know to ask. Based in Northbrook, Illinois, Old World Industries had long relied on a midrange computer system to support operations and improve efficiency as we grew through acquisitions and new product introductions. In nearly 45 years, our IT landscape had been significantly customized and configured to address changes to our internal business requirements, external customer demands, and vendor needs. But maintaining a seamlessly unified business became more difficult over time because, like all legacy enterprise resource planning (ERP) systems, our IT landscape wasn’t flexible and scalable enough to evolve with us. For example, our subledger for transactions — such as sales, accounts receivable and payable, and inventory — underwent a five-day hard-close process at the end of every month. After executing overnight batch runs and generating a summary of month-to-date and year-to-date financial performance indicators, we still couldn’t obtain the accurate, real-time view we needed to make decisions confidently. What we needed was a comprehensive digital platform of intelligence that connected all our lines of business, and a supply chain that stretched across 60 countries, in order to serve a growing global customer base more effectively. And by choosing SAP S/4HANA, we found the next-generation ERP foundation that could help us eliminate these inefficiencies, meet the demands of rapid expansion, and predictively determine our customers’ needs. 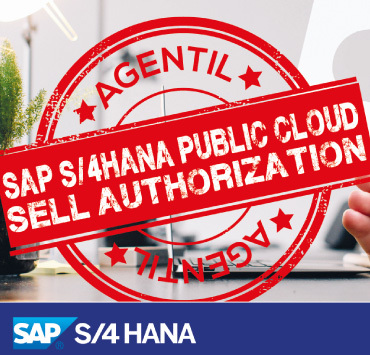 We learned that there’s more than one way to deploy SAP S/4HANA. Some companies choose to undergo a mass migration, others slowly implement ERP solutions as needs require and opportunities emerge. After assessing the readiness of every aspect of the business and understanding the potential impact, we decided to undertake an implementation and rollout of the full ERP suite that was scaled by business locations to help ensure continuous operations without disruption. Initially, we designed a blueprint, with the guidance of an independent firm, so that our transformation plans made sense. For example, hidden pockets of strength were identified to open up new opportunities, and areas of weakness were found and addressed to allow our growth to further flourish. And more importantly, we evaluated how each process change or efficiency improvement in one area of the business impacted the rest of the company. Based on that blueprint analysis, we selected a handful of contract manufacturers to migrate financial transactions and processes from the legacy system to SAP S/4HANA, including procure to pay and order to cash. Once we discovered how to optimize SAP S/4HANA in these manufacturing locations, we began rolling out the suite to the rest of our U.S. operations. Currently, we support several global customers with SAP S/4HANA. 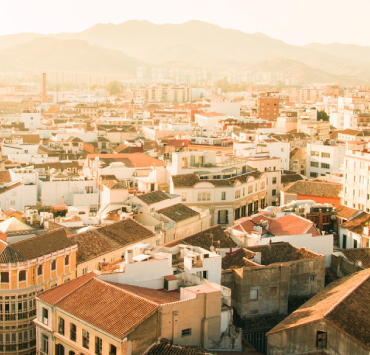 Our international supply chain locations in Mexico, Europe, Asia, and South America will also transition to SAP S/4HANA, according to our road map. The more our adoption of SAP S/4HANA progresses, the better we understand our financial performance and how to further enhance the business. With this single ERP solution, we are streamlining and integrating all our processes, as well as gaining the transparency necessary to find previously hidden risks, undetected redundancies, and missed opportunities. Even though Old World Industries will benefit greatly from this digital initiative, our customers will profit from it even more. As SAP S/4HANA helps us become more informed and efficient, we can quickly react to customer needs and serve them better with ingenuity and innovation to help ensure that their transport and logistics operations keep running smoothly. run their businesses in new ways. Donna Markey is controller at Old World Industries.